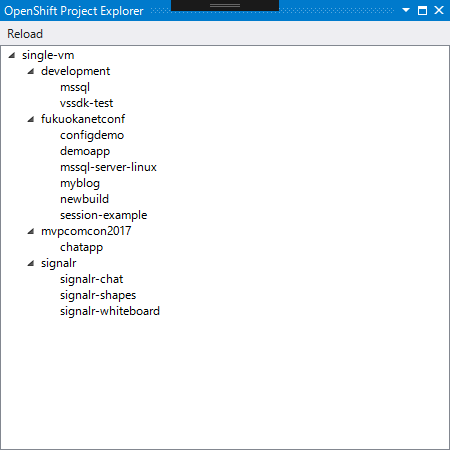 OpenShift Tools for Visual Studio helps your deployment of you ASP.NET Core project to OpenShift. 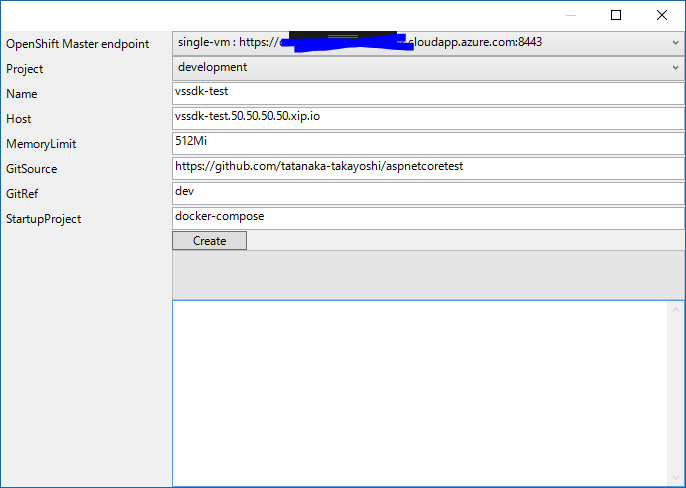 This early preview version can deploy your ASP.NET Core project to OpenShift. 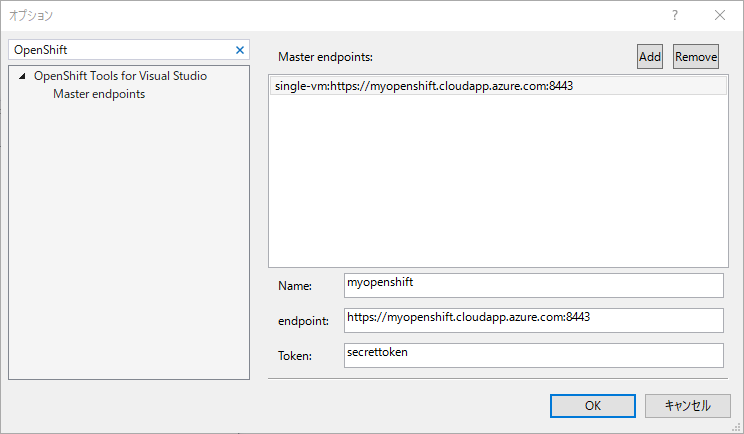 At first, add your OpenShift master URL and token at Visual Studio Options dialog. Note that the token will be saved as plain text. I'm working on saving at a secret place now. Once configured, you can see your project and deployment configurations in the "OpenShift Project Explorer" view. You can open "Deploy To OpenShift" in the context menu of Project in the solution explorer. This early preview won't validate so much for input parameters. Also, you have to push your code to git repository before deploying to OpenShift. OpenShift will clone your code from the git repository instead of using your local codes.